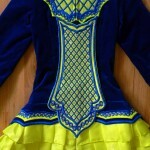 Dress is sparkly Doire Designs in royal blue velvet and neon yellow twinkle satin. Design is covered in hundreds of large (34-40ss) clear Swarovksi crystals. None missing. 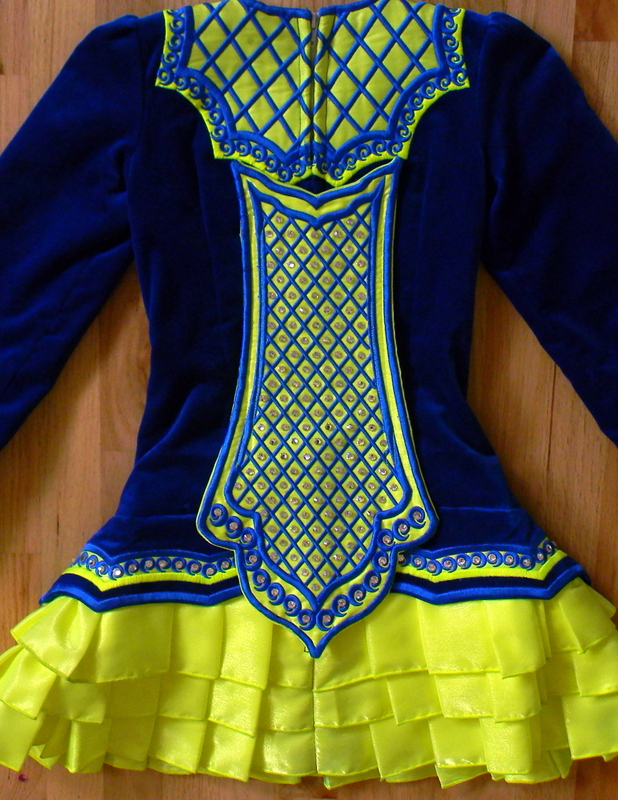 Dress is in great condition and has an amazing stage presence. Photos don’t do justice to the bright yellow or sparkle of this dress. 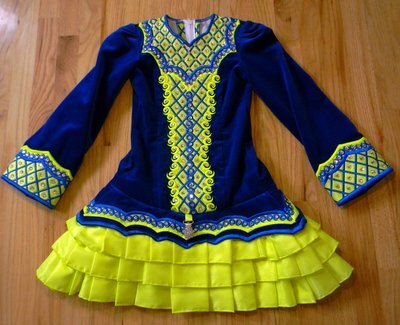 Comes with matching headband, kickpants, crystal number clip, and Doire Dress Designs dress bag. Please e-mail me with any questions. There is at least 1″ let out in zipper. 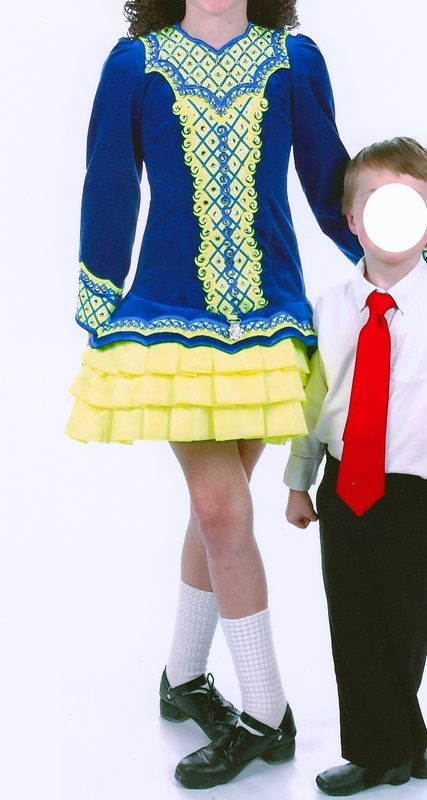 Skirt has about 1″ of let down and can also be taken up easily with design.